Do you feel alone out there? Or even in your small town? Need help to build your rural sisterhood? 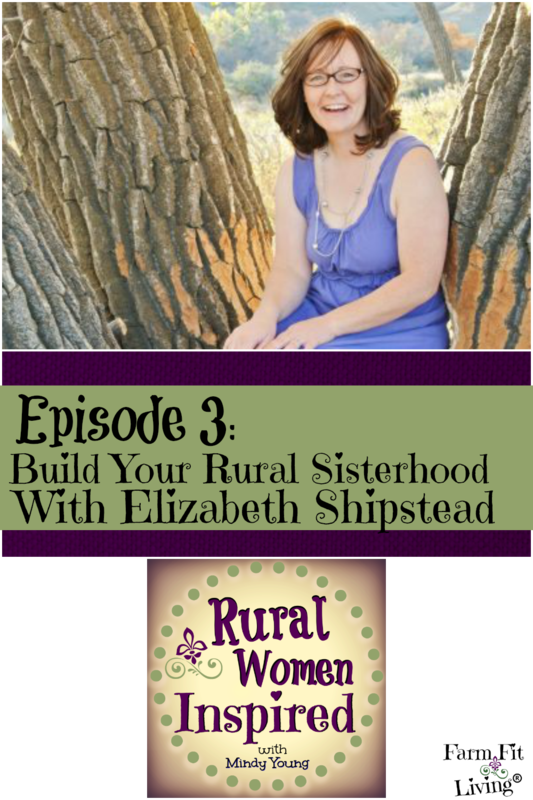 Build your rural sisterhood virtually! Episode three will be featuring Elizabeth Shipstead. And she knows all about how to build your rural sisterhood online. You see, Elizabeth is the mastermind behind www.theruralsisterhood.com and the Rural Sister Community Facebook Group. And both of these pages are places for rural women to join and find a supportive community. Elizabeth is from Northeastern Montana where she farms with her husband and two little daughters. They raise peas, wheat, canola and cattle. Learning that everything with farming is unpredictable and can change at any moment. And she let stress really dictate reactions. Lots of hardships to overcome and learn from. So, she overcame that low point by writing on her blog about her stresses and building her community of supportive sisters. Readers followed her and commented on her posts. Hence, this was the beginning of building her online community. Of course, she also built friendships in her own Montana community. Furthermore, God helped her overcome the low points. And from there, her rural sisterhood community was born. Probably realizing the need to create community. Elizabeth had been a part of other Facebook groups and wanted to start her own. She wanted her group to be full of whole hearted rural ladies – free of heated debates and full of support. She and other original group members created guidelines to follow to make the group stay true to it’s goals. It’s a great place to connect! What is one thing that Elizabeth Struggles With? Probably balance! Juggling a farm, family, home and business is difficult. Then, staying true to those hours and staying offline when the family is there. The Group App has been great for not getting sucked into the Facebook News Feed. Finally, understanding that it’s the little things that matter the most. Consequently, what is Elizabeth most excited about? First of all, continuing the success with her business and her community. Then, applying everything she has learned last year and implementing it this year. As a result, creating a devotional for her rural sisters. So, what is holding Elizabeth back from reaching her goals? Feeling qualified to writing a devotional. So, this inspired her because she gained the confidence that God will qualify her and equip her to write a wonderful devotional for her rural sisters. Probably to always go back to what is the most important. To Elizabeth, it’s her faith. So, she always checks in with God to do what’s important. Also, learning from your mistakes is huge. Because lessons are so important to learn and overcome to move forward. Getting up early was really hard to do at first. It was a big adjustment. But having that time to herself really made a difference. So, it’s all about finding that time for yourself that works for you. Make it happen to build your rural sisterhood and support yourself! Take this Trello Training to learn all about it. Her planners are her favorite tool. She has used several to keep her organized and on track. ** Giveaway for Ruralites: Get Elizabeth’s planner resource guide for FREE. A guide that compares and contrasts different planners. How exciting! Also, journals have been helpful to her recording those important moments that happen. Cold Tangerines by Shauna Niequist. It’s all about celebrating the extraordinary nature of everyday life. And, If Elizabeth woke up tomorrow, acquired 10 acres and $1000, what would she do? Cows are our focus right now. Therefore, she would put the money towards buying new cows. And the 10 acres could also be fenced and grazed or used for hay. Another place she could put the money towards is updates to her home. Most of all, find your tribe that supports you and build your rural sisterhood. In addition, don’t go it alone – Someone else is or has struggled, too. Facebook: The Rural Sisterhood – This is a SECRET group. Catch Episode 1 & Episode 2 of Rural Women Inspired!